Chatbots are everywhere right now, but there's a problem. Almost every article is telling you about a particular bot, or the future implications of chatbots. That's fine, but where are the instructions on how to build chatbots, what they can do to help your business, how to set them up for success, and what the market opportunity is? 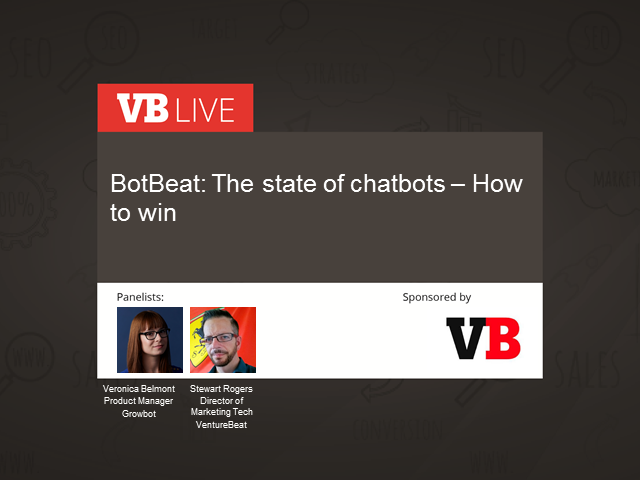 Look no further as in this session we'll reveal the results of a new study into chatbot usage, detail how to build your own (at any budget), explain why you should care about the bot revolution, and help you take grab a competitive advantage while it still exists. It is time to jump on the bot-wagon, and we'll help you steer the right course.